When Chester and Clara Congdon hired renowned landscape architect Charles W. Leavitt, Jr. to design the grounds of Glensheen, Leavitt sent two of his best men to make sure his plans were followed to the letter: Anthony U. Morell and Arthur R. Nichols. While in Duluth the pair made significant connections, and by the time they had finished their work at Glensheen in 1908 they decided to permanently settle in Minnesota, where they created the state’s foremost landscape architecture firm. Anthony U. Morell was born Anthony Urbanski in 1875 in France, where he received his education. In 1902 he emigrated to the U.S. to take a job with Leavitt’s firm in New York City. At the same time, for reasons unknown, he adopted his mother’s maiden name, Morell, as his own. 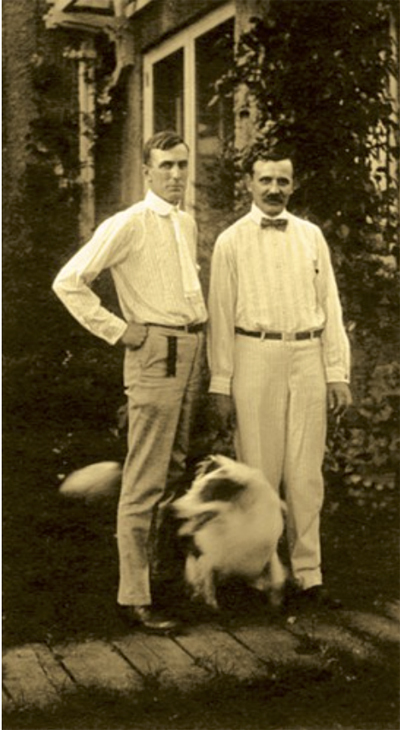 While working for Levitt he became acquainted with Arthur Richardson Nichols, a native of Springfield, Massachusetts. Nichols became the first person to earn a degree through the Massachusetts Institute of Technology’s landscape architecture program in 1902. He joined Leavitt’s firm that same year and cut his teeth working on Colorado Springs’ Monument Valley Park, Long Island New York’s Long Beach, and John D. Rockefeller’s estate in Pocantico Hills, New York. According to biographer Gregory Kopischke, a coworker once described Morell as “an artistic, creative, theoretical designer with high ideals, a hot temper, and little patience.” Nichols, on the other hand, was “a good designer, mild-mannered, and a skilled promoter who inspired people and who saw an important synergy between civil engineering and landscape architecture.” Despite their different personal styles, the pair obviously respected one another and worked together well. In 1909 Morell and Nichols, recognizing Minnesota as an untapped market for their skills, formed a partnership and opened an office in Minneapolis. Kopischke notes that Morell & Nichols became “one of the first and most productive landscape architecture firms in the state. The partnership blended Morell’s European training and Nichols’ eastern background with both men’s appreciation of Minnesota and its regional character. The firm’s broad-ranging design services included master and site plans of residential subdivisions, city and state parks, country clubs, cemeteries, hospitals and sanatoriums, schools, colleges, universities, seminaries, hotel and resort grounds, private grounds and estates, state capitol grounds, historic parks, Works Progress Administration sites, and state highways.” This included 1918 plans for “civic improvements” of the entire town of Stillwater, Minnesota. While most of their work was done in Minnesota and other Midwestern states, they executed projects throughout the U.S. and Canada. In Duluth, Morell & Nichols worked on Congdon Park and drew plans for Central Park, Lester Park, Washington Square, Portman Square, the stone bridges of Seven Bridges Road, and the Lester River Bridge and Congdon Boulevard. 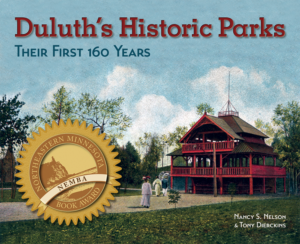 Unfortunately Duluth’s Park Board was eliminated in 1913 and many plans, including those for Central Park and Lester Park, were never implemented. They also designed the layout of Duluth’s Morgan Park, a model company town (now a Duluth neighborhood) built by U.S. Steel, as well as the Crescent View Park subdivision of Duluth’s Congdon neighborhood. The firm also designed the grounds of Duluth’s H. B. Fryberger (now lost) and A. M. Chisholm estates. They have also been credited with designing the layout of Duluth’s Civic Center and the Morley Heights neighborhood. Much of their non-park-related work is thought to have been done by Nichols alone. In 1911 Morell & Nichols published a small book titled simply Landscape Architecture. It includes drawings of many of their Duluth projects, even those thought to be Nichols’ private commissions. Both men were active outside of the firm. Morell consulted with the Minneapolis City Planning Department and actually served as the Minneapolis Planning Commission’s secretary. Nichols acted as a consultant to the Minnesota State Board of Control, designing sites for state institutions such as hospitals and prisons. One of his most successful designs was for Duluth’s Nopeming Sanatorium. For more than forty years Nichols acted as the University of Minnesota’s consulting planner, designing grounds on campuses throughout the state. During his career Nichols also became a noted designer of cemeteries, including Minneapolis’s Sunset Memorial Park and the northeast section of Lakewood Cemetery between Lake Harriet and Lake Calhoun. As Kopischke points out, he built an impressive résumé along the way: Member, fellow, and vice president of the American Society of Landscape Architects; honorary associate in the Minnesota Chapter of the American Institute of Architects; life member of the Engineers Club of Minneapolis; and member of the American Society of Planning Officials. In the early 1920s he helped establish Iowa State University’s landscape architecture program, and in 1933 he became Minnesota’s first registered landscape architect. In 1950 Arthur R. Nichols retired from the firm he had created with Anthony U. Morell in 1909. Three years later he was convinced to return to work to consult for the Minnesota State Parks Department, preparing “master plans and site studies for virtually every new or existing state park” until his final retirement in the early 1960s. He died in Rochester, Minnesota, on January 23, 1970.